OABA Fall 2014 from Margulies Communications Group on Vimeo. OABA H2B SPRING 2013 HD from Margulies Communications Group on Vimeo. 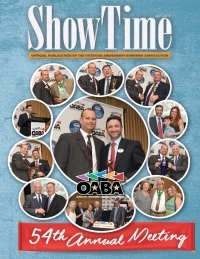 The Outdoor Amusement Business Association (OABA) represents the mobile amusement and entertainment industry, including the concessionaires, which provide rides, games, food and other attractions to America’s agricultural fairs, carnivals, festivals and community events. Given the seasonal and travel-based nature of the industry, attracting and retaining qualified workers is often a challenge. As a result, the industry has initiated a program for recruiting and training foreign workers to supplement its domestic workforce under the H-2B visa program. In the 1960s, Congress recognized the special needs of the seasonal, amusement and recreation industry with the FLSA (13)(a)(3) exemption, allowing both employer and employee to benefit from a guaranteed, predictable weekly wage that does not vary due to inclement weather or scheduling changes. As a result, today’s mobile amusement industry can recruit workers under a separate and distinct “Entertainment” category within the current H-2B, non-agricultural guest worker program. Seasonal guest workers support and protect existing domestic jobs in the mobile amusement industry by providing flexibility to employers to infill jobs when additional workers are needed but unavailable. Access to seasonal guest labor supports the agriculture community by ensuring the continued viability and 75-year partnership of the carnival industry and non-profit agricultural fairs, one of the few public showcases for American Agriculture. Our employees are the face of our industry. Well-trained and professional workers are essential to ensure our visitors a fun, safe and friendly experience. We invest heavily in training and recruiting and believe that these investments pay off. It is often difficult to recruit workers who are willing to travel for up to 6-10 months at a time. For that reason, the industry relies on a combination of American workers and foreign workers through the H2B visa program. All carnival and fair workers are subject to criminal background checks and drug and alcohol screening. They must be willing to work in all weather conditions and must be physically able to lift weight. They must pass an I-9 screening and be willing to pay taxes. We ask for Congress to continue to support America’s carnivals, fairs and agriculture sector by ensuring that the seasonal amusement industry’s FLSA exemption is included and protected in any guest worker proposal considered by Congress as part of immigration reform. This will allow the mobile entertainment industry to continue to operate safely and efficiently, while protecting American jobs and supporting America’s agricultural fairs, carnivals, festivals and community and charitable events. The U.S. Department of Labor has engaged in a rule making effort that seems designed to significantly increase the barriers to utilization of the H-2B program. A January 19, 2011 DOL rule sought to arbitrarily and unilaterally increase the wages rates for H-2B workers well above rational economic levels. Congress recognized that the rule was a threat to jobs and small businesses and prevented it from being implemented through the appropriations process until this year. On April 24, 2013, the Departments of Homeland Security and Labor issued a joint Interim Final Rule that is extremely similar to what DOL attempted to impose in its 2011 Wage Rule. Like the 2011 rule, the new wage rule establishes wage rates for H-2B workers at the mean of Occupational Employment Statistics wage survey data for occupations. A survey of H-2B employers who have received prevailing wage determinations under the interim rule shows that on average H-2B employers are facing a $2.91 per hour wage increase. According to a sample of over 500 new prevailing wage determinations, employers are facing an average increase of 32.5% in H-2B wage rates. Most seasonal businesses operate on thin profit margins and under long term contracts. They simply cannot absorb these massive increases in labor costs. The impacts of the 2011 rule would have been even more severe than the interim rule because it would have made it nearly impossible for employers to use legitimate private wage surveys to validate wage levels. Unfortunately, on March 14, 2014, following the expiration of the Congressional prohibition, DOL announced its intention to issue a new proposed wage rule using the 2011 rule as a starting point. During the appropriations process, we hope that the Appropriations Committees will prohibit DOL from promulgating an H-2B wage methodology rule that does not preserve an employer’s right to use legitimate private wage surveys and that does not preserve a multi-level wage methodology that provides for varying wage levels that are commensurate with the skill and training levels required for the position. We are also concerned about the program’s Congressionally mandated cap of 66,000 (33,000 for the first half of the fiscal year and 33,000 for the second half of the year). The cap for the first half of fiscal 2014 was hit on March 14 and we are closely monitoring the second half cap. We are concerned that seasonal employers could be shut out of the program to the detriment of their businesses and their American workers. In order to ensure that seasonal small businesses continue to have access to needed H-2B workers, Congress must re-instate the H-2B returning worker exemption that was in place from 2005 through 2007. This expired provision of law exempted from the cap H-2B workers who have complied with past visa requirements and worked in the program during one of the preceding three years. A provision on “staggered entry” to allow employers to bring workers in on multiple dates as they ramp-up for their busy seasons would also be helpful. DOL issued a final rule on February 21, 2012 that if implemented would make the H-2B program more complicated and prohibitively burdensome for small, seasonal employers and virtually unworkable. DOL has not been able to implement this rule due to a nationwide preliminary injunction issued by a federal district judge and upheld by the 11th Circuit Court of Appeals. The rule would require employers to hire any qualified U.S. worker up to 21 days before the H-2B worker is scheduled to begin, even though the employer may have already offered the job to the H-2B worker, assisted with the visa process and paid transportation, housing and other associated fees. The rule also would involve labor unions in the hiring process and require employers to pay transportation and subsistence costs for U.S. workers who work at least 50% of the season. In addition, the rule includes provisions that would require employers to pay workers with “corresponding employment” duties similar wages. The rule is based on the mistaken assumption that the H-2B program is fraught with abuse. While this is not the case, DOL and DHS already have significant authority to enforce existing regulations against any employers that are not meeting their obligations to their H-2B and U.S. workers. The provisions of the 2012 rule are unworkable and unnecessary.